Toast a glorious day in the city with a priceless bottle of champagne, or relax with a pint and an incredible riverfront view. In glittering Paris, it's always easy to unwind and imbibe in style. A world of influences are found in the local Paris pubs to ensure that any out-of-town newcomer feels perfectly at home with a pint in hand. From cozy Irish and English pubs that are carved into ancient stone buildings, to more modern French pubs where a worldly beer is complemented with a cheese assortment and fresh breads, the city is brimming with options that combine fabulous brews with a friendly atmosphere and exceptional cuisine. 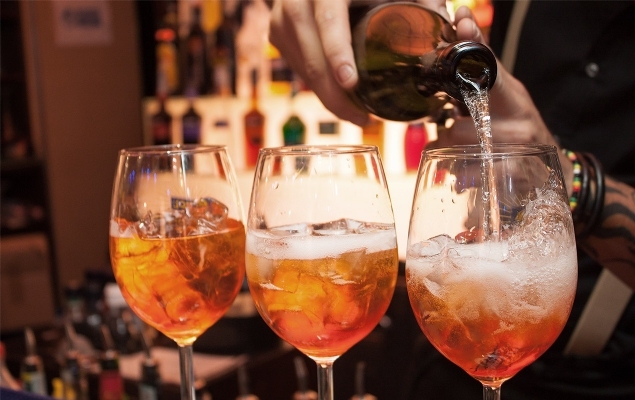 Offering beer, wine, cocktails and more, the menu at a local pub may be more extensive than in other global cities, but the sheer variety of options will be a welcome sight for any visitor who wants to settle into a cozy booth or an outdoor café table, and enjoy a drink. There’s nothing more relaxing – or more Parisian – than settling into a café table, sipping an exquisite glass of wine, and watching the world pass by. Perhaps that’s why the City of Light features hundreds of glittering wine bars that are ideal for discovering the legendary flavors of the French vineyards. 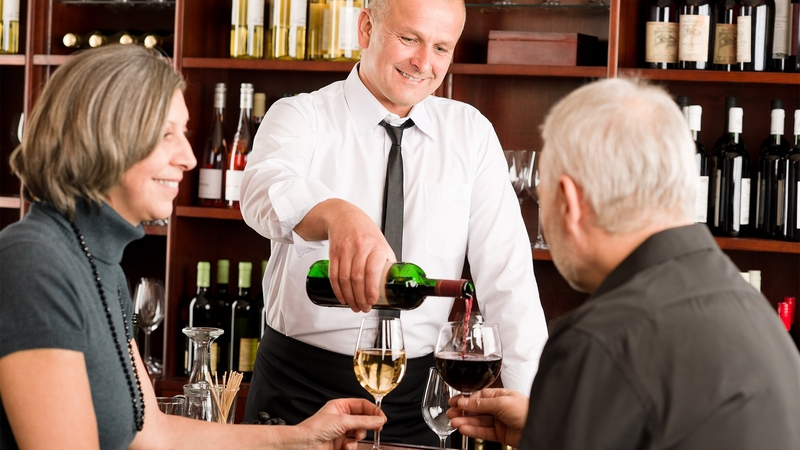 One of the most enticing attributes of the French wine bar scene is the sheer variety, which ensures that visitors can obtain an experience that suits their taste and style. From down-to-earth establishments where patrons feel like family, to upscale bars that are considered the best in the world, the options for sipping and snacking are truly limitless. Amplify an experience by attending a wine tasting or two - (or three) - to discover a myriad of flavors with a single, unforgettable visit. With so many wines to discover, paying a visit to a local wine bar is almost mandatory for Parisian vacationers. Paris is a city where global flavors converge – especially when it comes to food and drink. As a result, it should come as no surprise that the sheer assortment of whiskey and cocktail bars represent the best in the world, and can cater to all tastes, from traditional to the ultra-modern. For a night of clubbing and state-of-the-art cocktails, head to trendy establishments in the Latin Quarter and St. Germain neighborhoods. Here, thirsty patrons will find colorful cocktails that use exquisite ingredients and which will inevitably be copied at bars all over the world. 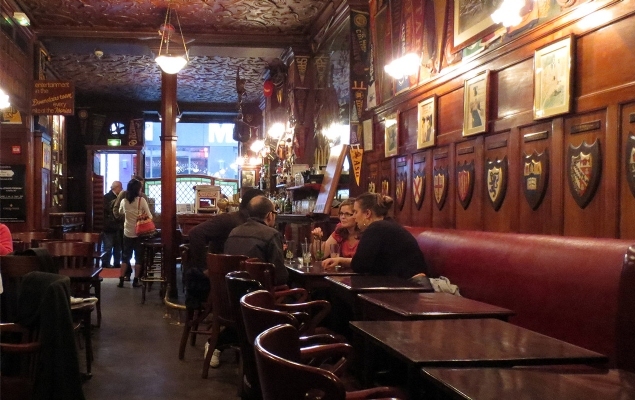 For something a little more classic, head to one of the city’s many Irish Pubs, or one of Paris’ up-and-coming “speakeasy” bars, where traditional flavors are doled out to a modern clientele. From the established and casual to the truly fashionable, Paris sparkles with a bar scene that truly sets the tone for trends around the globe. Imagine sitting along the riverfront under the shadow of the Eiffel Tower, or watching the tour boats cruise by as you sip on an exceptional glass of champagne. These experiences are effortlessly waiting in Paris where the fun – (as well as the city’s myriad of attractions) – tend to cluster near the water. The Seine River cuts through the heart of the city, separating the Left Bank and the Right Bank, and thirsty visitors will find a myriad of eateries, pubs and wine bars with exceptional views along the river’s borders. 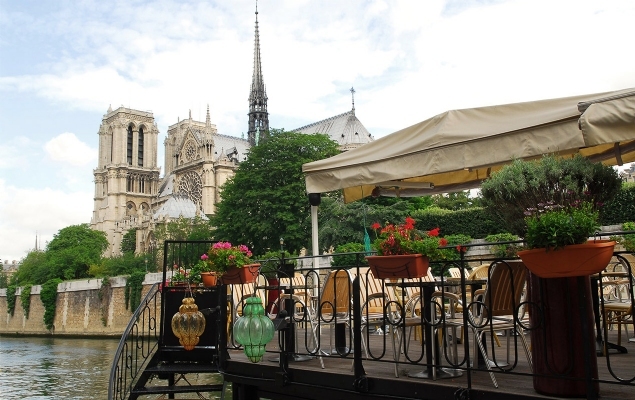 From casual cafes with ample outdoor seating, to more modern establishments with outdoor gardens that border the Seine’s waterfront attractions like the Louvre or the Champ de Mars, a romantic waterfront view and a tempting drink is an easy combination to find in the City of Light.